I was researching the children of the Morts of Astley, and trying to enlarge the tree from the book in order to find a link between the Mort’s of Dam House/ Astley Manor and my Mort’s (Henry & Ralph from Eccles). When I got to Seth Mort 1618. I found he married Elizabeth Massey 1622, who it listed as being born in the Red Castle. This intrigued me, as I hadn't heard of the Red Castle. So I looked for Elizabeth’s family and found her father was Sir William Massey 1580, and her mother was Catherine Herbert 1586. who was also born at the Red Castle. I then uncovered Catherine Herberts parents, and revealed her father to be Sir Edward Herbert. Earl of Powys 1547. This was starting to get interesting! I then found that Edward's father was Sir William Herbert KG, 1st Earl of Pembroke. born at Ewis castle, in 1506, died at Hampton Court, and now buried in St.Paul's Cathedral. Sir William was married to Ann Parr in 1531. 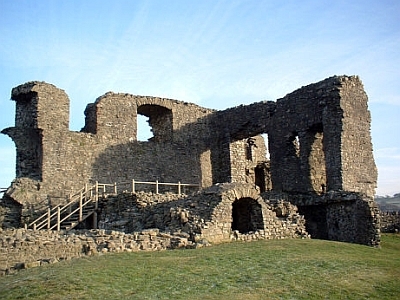 Ann was born in Kendal Castle, and is also buried in St. Paul's. The name Parr was ringing bells in my mind, so I looked at her family, and found she was the sister of Catherine Parr, who was Married to King Henry 8th in 1543. Catherine and Anne Parr were the daughters of Sir Thomas Parr of Kendal and his wife Maud Green. So basically, Seth Mort married the Great Great Grand Daughter of Henry 8th’s and Catherine Parrs Brother in Law. Or to put it another way, Henry 8ths Sister in Law (Anne Parr) married Sir William Herbert and they had a son called Edward. Eddie then had a daughter called Catherine who had a daughter called Elizabeth, who married a Mort boy from up Astley way. It is a very slight royal link - but hey - a link is a link. These Mort men did tend to marry well. Thank you for this story Bob and the painstaking research that must have gone into this.